Officials have reported five deaths - but it is not clear if those were as a result of the tsunami. Last month, a series of earthquakes struck the Indonesian island of Lombok, killing hundreds of people - the biggest on 5 August killed more than 460. 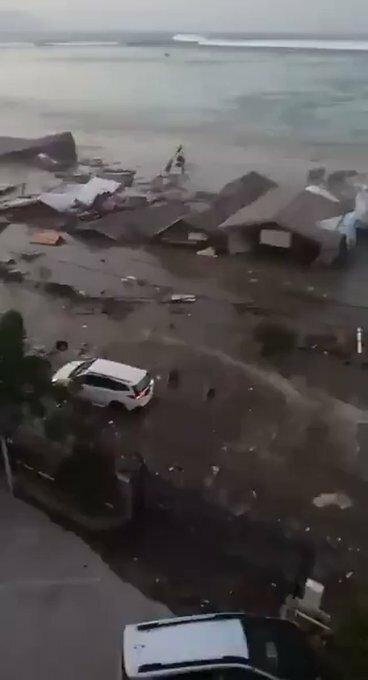 The dramatic video footage of the tsunami hitting Palu shows the high waves sweeping away several buildings and then the large tilted mosque in the town, about 80km from the quake's epicentre.